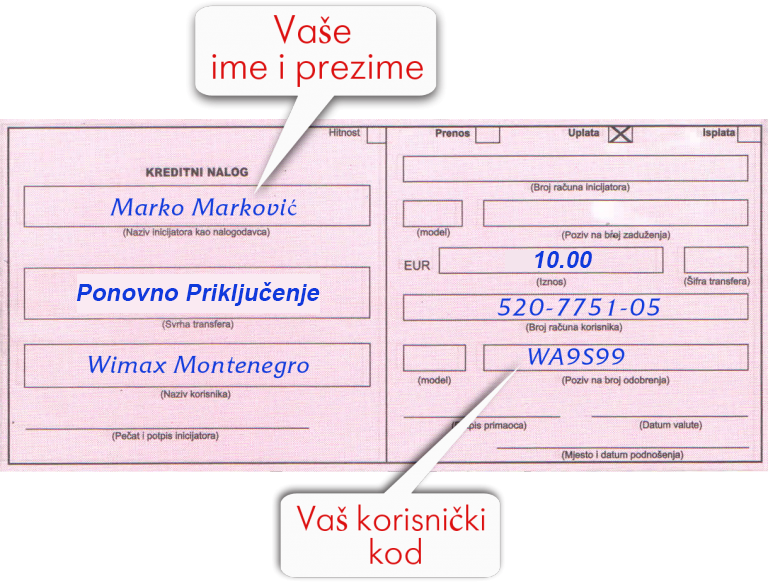 You can pay internet bill at any bank or post office in Montenegro. Our recommendation are services of Hipotekarna banka, because it does not take a commission for payment, and payment is immediately recorded. In the text below is a form for fulfilling of the quittance for payment of internet bills. If you need to pay for the equipment in the field Svrha Transfera you should write Uplata za opremu.